The resort spa & conventions hotel has excellent location in Eilat. Just 2-minute walk from the beach, close to the shopping mall and the seafront promenade. 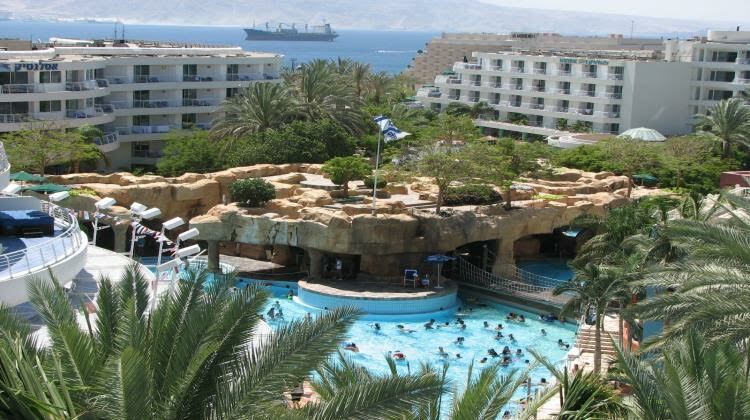 Club Hotel Eilat designed and built under the inspiration of the sea, has over 10 acres of grounds including a water park with six swimming pools and rich tropical gardens with waterfalls, children's pool, water slide, water fountains and other attractions. Free Wi-Fi and parking are available. 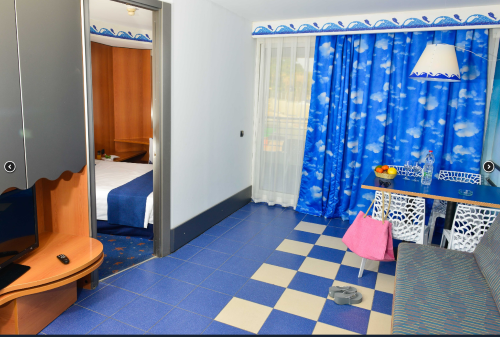 The suites are bigger than most in Eilat, with spacious 2-3 rooms, providing privacy to the main bedroom. All are air-conditioned, with balcony, fully fitted kitchenettes, dining and seating area, two TV, free Wi-Fi and offering sea, mountain or city view. Some suites have their own private hot tub on the balcony, and include free access to the elegant Lounge. Lounge access can be also booked. Children have 3-entertainment club with crafts, art, Simulator and media games. Guests can relax at the large spa, with 15 treatment rooms, four Jetted tub and Sauna Rooms. Various massages and enjoyable wellness treatments can also be booked. The gym center includes 800 square meters modernized and computed shape room, with Treadmills, exercise bike, weights and more. The hotel main restaurant serves a daily reach Israeli breakfast and dinner. Guests may enjoy lunch, snacks and drinks in the lobby restaurant, the poolside bar or the kid's club restaurant. The staff will entertain you during your stay, with spectacular shows including Las Vegas style show on water screen and varied activities for adults and children, during day and nighttime. Standard A double room with double bed, without a living room. An accessorized kitchenette including: microwave, an electric kettle, a small fridge and cutlery for the number of guests in the room. A dining room, bathroom with a bathtub.